Once I recovered from burnout at Zilog, I was working less and accomplishing more. I even had time to find a girlfriend who was a contractor to the company. One of her first comments was, “I didn’t know you even worked here. Where were you hiding?” If she only knew. Our small training department had been without a manager for months and finding a replacement didn’t seem to be high on the VP of Sales list. We four instructors would grumble and complain to one another about our lack of leadership. Then it hit me – no one else wanted to be manager – what was the worst that could happen? I walked into the VP of Sales’ office and with my knees trembling, I politely asked for the job. I still remember him chuckling as I nervously babbled on what I good job I would do, what I would change for the better in the department, why I was qualified, etc. He said, “you know I figured it would be you to come in here and ask for the job. I was wondering how long it would take you.” I was now manager of Training and Education at Zilog. From that day forward, in my business and personal relationships, I would calculate the consequences of a “No” for an answer against the benefits of getting a “Yes.” The math said that it was almost always worth asking for what you want. And the odds in your favor are even higher, as most of your peers wouldn’t even get into the game due to some unspoken belief that in a meritocracy, good things will come to those who wait. Perhaps if you have a union job based on seniority, but not in any startup I’ve ever seen. For entrepreneurs good things come to those who ask. As part of the sales organization, I thought I kind of figured out what the function of the sales department was. (In reality it would be another 20 years.) And I understood engineering since I interacted with them almost daily. 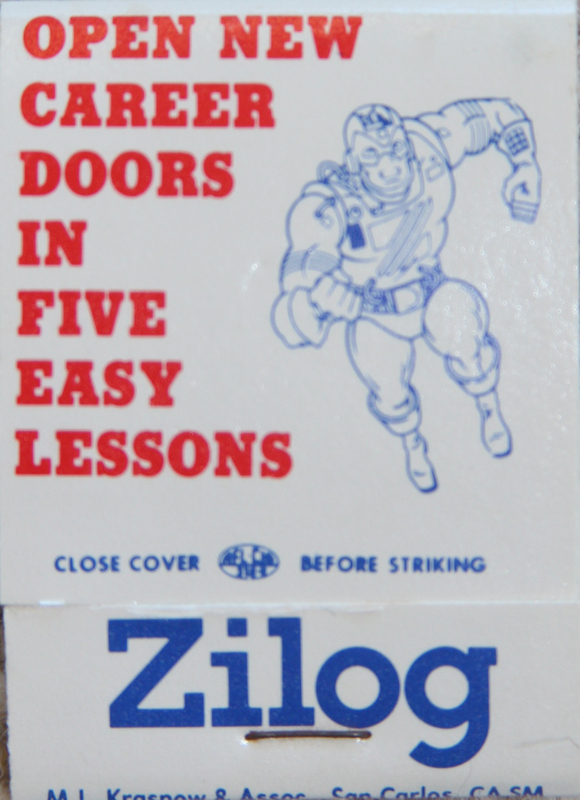 And since Zilog still had a semiconductor fab next door, I learned what manufacturing did in a chip company, as every training class wanted to see their chips being made. But the one group that had me stumped was something called “marketing.” “Explain it to me again,” I’d ask. After a year and a half of running training and teaching the new Z-8000 and its peripheral chips, I began to figure out that one of the jobs of marketing was to translate what engineering built into a description that our salesmen could use to talk to potential customers. I distinctly remember this is the first time I head the phrases “features and benefits.” And since I saw our ads (but didn’t quite understand them,) I knew marketing was the group that designed them, somehow to get customers to think our products were better than Intel and Motorola’s. But Intel was kicking our rear. 5-10 years product marketing experience, blah, blah. The response was at first less than enthusiastic. I certainly didn’t fit their profile. However, I pointed out that while I didn’t have any of the traditional qualifications I knew the product as well as anyone. I had been teaching Z8000 design to customers for the last year and a half. I also knew our customers. I understand how our products were being used and why we won design-in’s over Intel or Motorola. And finally, I had a great working relationship with our engineers who designed the chips. I pointed out it that it would take someone else 6 months to a year to learn what I already knew – and I was already in the building. 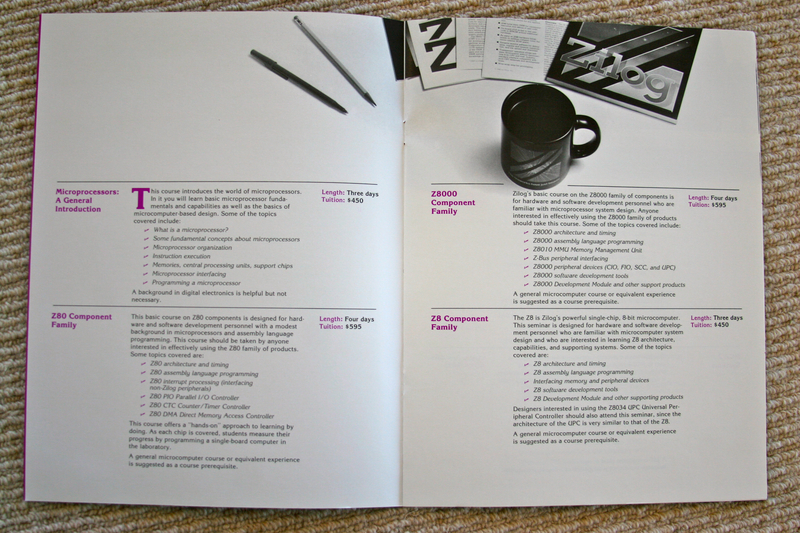 A week later Zilog had a new product marketing manager, and I had my first job in marketing. Now all I needed to do was to learn what a marketeer was supposed to do. Years later when I was running marketing departments I came up with a heuristic that replicated my own hire: in a technology company it’s usually better to train a domain expert to become a marketer than to train an MBA to become a domain expert. While MBA’s have a ton of useful skills, what they don’t have is what most marketing departments lack – customer insight. I found that having a senior marketer responsible for business strategy surrounded by ex-engineers and domain experts makes one heck of a powerful marketing department. Successful entrepreneurs have the ability to ask for things relentlessly. In the face of rules that stand in their way they find a way to change the rules. (To an entrepreneur comments like, “you need an MBA, we don’t fund companies like yours, we don’t buy from start-ups, you have to go through our vendor selection committee” are just the beginning of a negotiation rather than the end.) Entrepreneurs are fearless, persistent and uninhibited about asking – whether it’s asking to assemble a team, get financing, sell customers, etc. or whatever is necessary to build a company. If you are on the path to be a successful entrepreneur, hopefully you are already asking for things you want/need/aspire to. If not, don’t wait. Get started asking. It is a skill you need to either have or develop. Ask, and it shall be given you; seek, and you shall find; knock, and it will be opened to you. Asking is also the quickest way to get direct negative feedback — sometimes even more valuable than a yes. You’d be surprised how many people don’t. Thanks for the article Steve. It surely lifted my spirits once again in my quest to seek funding from venture capitalists and to keep silencing my critics and proving them that i can achieve my milestones and goals in my very ambitious web application. I, too, moved into marketing after head up a training department for a technology product and agree it’s a good perch from which to learn the needs, aspirations and struggles of the customer. Sales is also a good background (especially for outbound marketers where the focus is on the prospect). Perhaps the best background of all is that of an entrepreneur. The the clarity of purpose; driving need to actually win the customer; the constant contact with prospects and customers; and the fact that there is “no place to hide” make it ideal for mastering marketing (as well as other roles). Anyone who aspires to be a great marketer should take your advice to “get out of the building” and talk directly with customers and prospects on a regular basis. Understanding what’s on their mind and the emotional aspects of their pain and buying criteria are essential to success. Yes, I’m serious. I’ve built my company using the Customer Development Model from Day One. I recently completed the Validation step (less the industry analyst presentations) and am ready to move on to Customer Creation. So the ask is made — shall it be given? Asking is easy, persuading is something alltogether different. I can do the former but am desparate to learn the latter. When are you and Peter Barrett planning to fire up another startup :D? If you’re not how am I supposed to get a chance to work with you both. Just reading the “war stories” doesn’t do justice to the experience, I keep feeling like I missed out. Not so much on the sinking venture, but seeing you gents in action, developing and selling blind to navigational course corrections. On a more serious note, any tips on attracting founders? I’ve been blogging, commenting, emailing, and all over social media searching for folks to buy in to my pitch, smart personalized web software (to aid pasive search -Dave winer calls it two way, and relevant ads). I got “lucky” and worked with some incredibly persuasive sales people. I modeled some of my behavior on them. 2. Taking a job in company and “carrying the bags” (presales support) for a world-class salesperson for a year. 3. Working for people who’s reality distortion field is larger than yours. You haven’t missed a thing. You’ll create your own stories. BTW, I personally would _never_ “find” a founder over the web. Get out of the building and meet people. I would argue that asking and persuading are essentially the same; it’s just a matter of scale. Effective persuaders 1) ask in multiple ways depending on the audience, and 2) they are relentless in asking (see Steve’s original post.) For the former, books can help. For the latter, it’s all about you and perseverance. Asking is NOT easy, IMHO. If it were, it would be more commonplace. If asking is easy for you, that’s an advantage. Just take it to where it’s no longer easy and break through that to become persuasive. On your serious note, there’s an event tonight (Thursday 20 July) in Palo Alto sponsored by Startup2Startup. It’s free, and the speaker is Geoff Ralston speaking on “Selling in the Age of Free”. It’s a two-fer: you’ll learn about selling AND get to find some founder candidates. Might want to go it.
. That should read 30 July. Sorry to require another comment. I’m not a women, but from that point forward I resolved always to ask for what I want. And it has paid off in spades. I guess `asking’ is an important aspect of customer development too where a lot of asking is directed to customers. Thanks Steve, for sharing your experiences and imparting invaluable knowledge through this blog.